The rule for this Trading system are very simples are based on the price action. 34 exponential moving average channel is above 200 exponential moving average. When appears blue arrow of the EATA Pollan indicator, wait that that the price retraces into the channel, at this moment go open long position. 34 exponential moving average channel is below 200 exponential moving average. When appears red arrow of the EATA Pollan indicator, wait that that the price retraces into the channel, at this moment go open short position. 2) Profit Target predetermined, depends by time frame and currency, or ratio 1:2 stop loss. 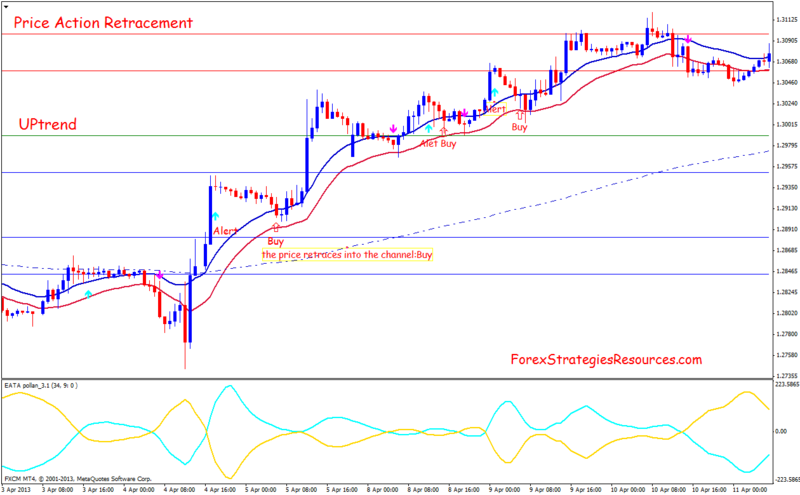 3 Initial Stop loss on the previous swing after X pips in gain move stop loss at entry point. EATA Pollan Indicator v.3.1 no repaint. In the pictures below Price Action Retracement Trading System in action. 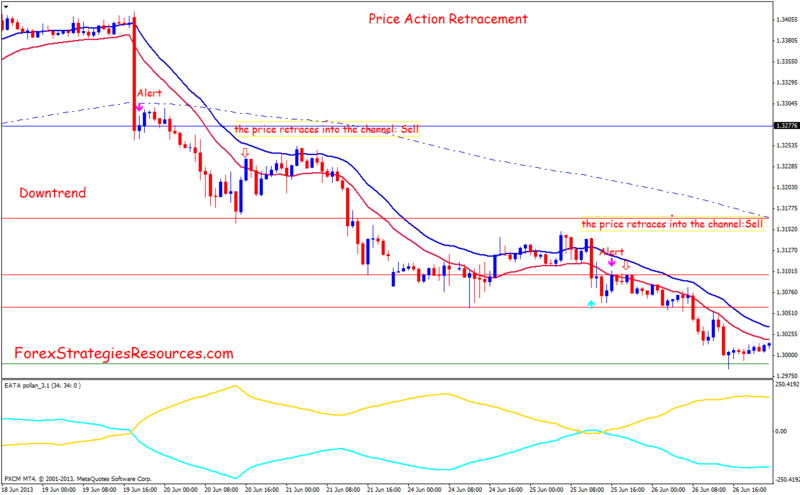 Share your opinion, can help everyone to understand the Price Action Retracement Trading System.